For over 30 years Kirk Hammett has been using EMG pickups and the KH20 set uses his go to rhythm pickup the EMG 81 in the bridge and two EMG S single coils in the middle and neck for more strat like sounds. These pickups are all built using ceramic bar magnets for the tightest, most controlled sound with incredible versatility and sustain. 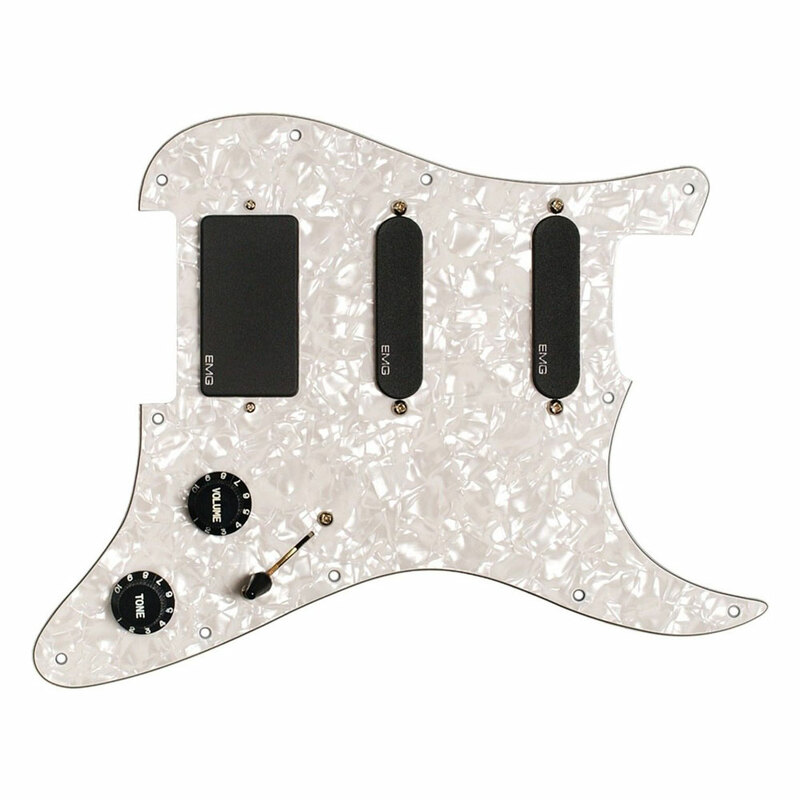 For ease of installation the set comes prewired on an 11 hole white pearloid Stratocaster style pickguard with a master volume and master tone controls and 3 way selector switch (complete with black strat style knobs and switch tip).